Galleri Balder, established in 2009, specializing in Scandinavian vintage and contemporary fine art photography . We also offer rare and out-of-print books. 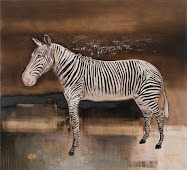 The Gallery is mainly an internet based gallery. However, if you would like to make an appointment to view the work in person that can be arranged for at our location in Oslo. If you wish to inquire about the availability and price of a specific image please contact us. If you’ve ever wept for beauty or the desire to capture a moment forever then you are one of us. Forget the staid, reject the obvious – cliches and pigeon holes are for the fearful. Knowledge is power and learning a privilege, never a chore. The Pandorian is a collective – artists, curators, writers, stylists, photographers, musicians and thinkers. Our simple desire? Everyday to share and introduce and delight. Come. Fotografi ble første gang utgitt i 1967, og er 40 år i desember 2007. Bladet tilhører med andre ord veteranene på det norske tidskriftmarkedet, og er dessuten Nordens nest største fototidsskrift med mange lesere også utenfor Norges grenser. Slik bladet fremtrer i dag, er Fotografi hovedsaklig et forum for entusiaster og profesjonelle fotografer. Men bladet har et meget bredt nedslagsfelt med lesere i ulike yrkesgrupper som journalister, lærere, grafiske formgivere, designere, bildekunstnere, bildegallerier, og ansatte i bildebyråer og reklamebyråer bare for å nevne noen. 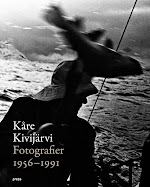 Stort sett kan vi slå fast at Fotografi leses av de fleste som arbeider med fotografiske bilder og med visuell presentasjon. Heartbeat is run by Norwegian photographers Marie Sjøvold, Andrea Gjestvang and Marte Vike Arnesen. Working within different fields of photography, we believe in blurring boundaries to make challenging and interesting imagery. 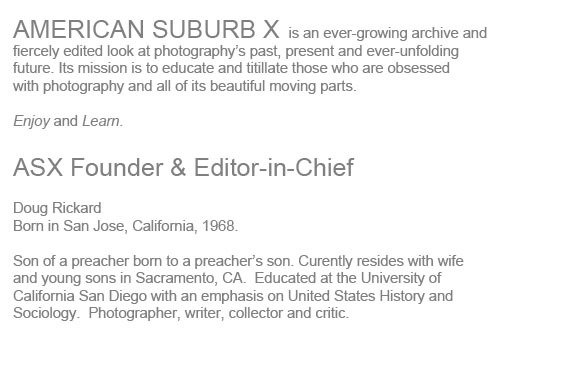 Through Heartbeat we will present our own projects in progress as well as the work of other female photographers. A MAGAZINE is a biannual publication, exploring the creative sphere of a selected designer in each issue. We invite a guest curator – an international fashion designer, group or house – to develop innovative, personalised content that expresses their aesthetic and cultural values. The Swedish Photo Magazine Kamera & Bild has published an article about The F Blog. It is already on the magazine´s site on the web and the paper edition of the magazin will soon be out. We decided to make a version in English based on our answers from the interview given to the magazine. Love of photography is the essential ingredient. The photographic image is powerful - an equally important link for communication between people as the written word or language. 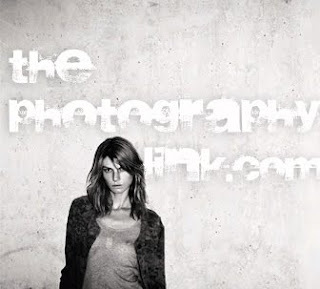 We want to present and promote good photography by offering a platform for photographers to show their work. Kafe Celsius har adresse Rådhusgt. 19, i den eldste av de gjenværende gårdene fra den opprinnelige kvadraturen, bygget i perioden 1626 -1627. Universitetsbiblioteket holdt til her fra 1814, i 1850-årene var bygningen Garnisonssykehus, før Deichmanske bibliotek flyttet inn rundt 1860. Fra 1897 ble bygningen kontorer for kommunen, og fra 1937 har Oslo Kunstforening hatt utstillings og kontorlokaler her. 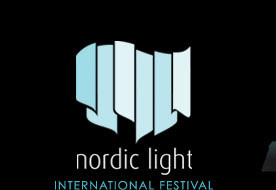 Fra 29. april til 3. mai er det duket for en ny runde med Nordic Light. Årets festival blir den fjerde i rekken, og kan by på et foto- og kulturprogram spekket med utstillinger, foredrag, Ansikt-til-ansikt, filmer, workshops konserter og mye mer. Preus museum er det nasjonale museet for fotografi. Museet ble opprettet i 1995, da Staten kjøpte samlingene til det private Preus Fotomuseum. Preus museum flyttet i mai 2001 inn i Magasin A på idylliske Karljohansvern i Horten, en times kjøring fra Oslo. Bygget, som tidligere var lager for Den norske marinen, er fra 1860-tallet og ble tilpasset museumsformål i 2001 av arkitekt Sverre Fehn. S magazine is a publication which gives back the creative freedom to the artists by letting them explore their visions with no restriction. We pride ourselves in going where others don't dare to go, which is right to the edge. We celebrate diversity, decadence and eroticism and hope to inspire a new wave of openmindedness and artistic freedom of expression within the world of art, fashion and design. Haugar Vestfold Kunstmuseum er lokalisert til den tidligere Sjømannskolen midt i Tønsberg sentrum. Den imponerende murbygningen er tegnet av arkitektene Bjercke og Eliassen og ble oppført 1918-21. Fire år senere fikk den A. C. Houens pris for god arkitektur. I utformingen av fasaden samarbeidet arkitektene med billedhuggeren Wilhelm Rasmussen (1879-1965), som lot utsmykke den med 12 karyatider i Larvikitt fra Brøttsøbruddet på Tjøme, forestillende noen av de eksotiske folkeslag som sjøfarerne ville møte ute i verden. Beliggenheten er både vakker og historisk der museet troner i parkmessige omgivelser mellom det gamle tingstedet Haugating og et par enda eldre gravhauger. I disse mener man med støtte i Snorre at Harald Hårfagres to sønner Olaf og Sigrød er hauglagt etter at de ble drept av den tredje bror Eirik Blodøks på Haugar våren 934. Selve stedsnavnet Haugar skriver seg trolig helt tilbake til jernalderen. 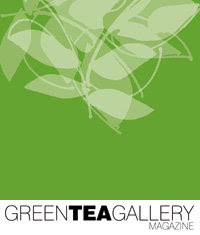 The Green Tea Gallery was born on a hot summer night in 2007. After spending far too many evenings browsing through myriad beautiful art images on Flickr—works created by talented artists from all over the world, I decided to give back to the community by creating a virtual space to collect some of my favorite pieces. 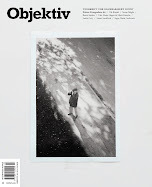 GUP Magazine is your Guide to Unique Photography. Published bimonthly and distributed worldwide. 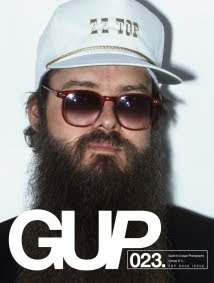 GUP devotes each issue to a specific theme, featuring every angle of photography. And yeah, there's a lot to see. From extensive portfolios of respected photographers and young talent to a complete international gallery and museum exhibitionlist. It makes GUP a smart and inspirational guide for photographers, professionals in the business and all those interested in the art of photography. 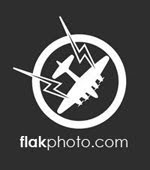 Flak Photo is a daily photography website that celebrates the art & culture of photography online. Produced by Andy Adams, the site highlights new series work, book projects and gallery exhibitions from an international community of contributors. I started The Sartorialist simply to share photos of people that I saw on the streets of New York that I thought looked great. When I worked in the fashion industry (15 years), I always felt that there was a disconnect between what I was selling in the showroom and what I was seeing real people (really cool people) wearing in real life. Fjord is a project that showcases the photography of young, up-and-coming photographers. The drastic shift in the way work is being presented today has become especially noticeable in the more technologically adept generation. Fjord's goal is to bring together a collection of notable photographers from the internet and showcase their work in book form. This transition from internet to book will allow a different audience to experience the work thus bringing emerging artists into the public's view. MAGES ARE EVERYTHING. Welcome to the home of my favorite fashion photography blog. 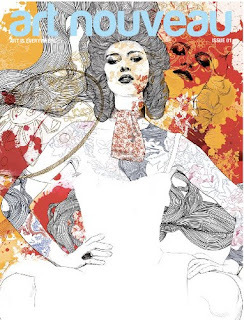 A quarterly print Art & Culture Magazine with a strong focus on art & design, avant-garde fashion and an eclectic mix of indie, electronic, hip-hop and pop music. 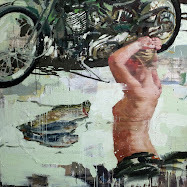 ArtSlant.com, the #1 contemporary art network, opened its portal to the contemporary art community in February 2007. Since then we have been bringing the best in art buzz and events on a city-by-city basis to the web. Please enjoy our special slant on the great art cities of the world!